Our Phoenix Divorce Lawyers can help. We assist clients in Phoenix and Maricopa County develop helpful and positive resolutions to some of the most personal and difficult family law issues. Therefore, our experienced attorneys will help you with all of your family law needs. In order to move forward with your life, you need an attorney to protect your rights and fight for your best possible outcome. If you and your loved ones are going through a divorce or are involved in a legal dispute in Phoenix, Maricopa County, Arizona, it is crucial that you retain legal representation as soon as possible. Contact our Phoenix Divorce Lawyers for assistance. Our Phoenix Family Law team are the ones you want on your side. Many people believe that they can handle their families’ disputes without having to hire a family law attorney. In most cases the complexity of the Arizona laws and the sensitive nature of the family law matters result in confusing and contentious court battles. By enlisting an experienced Phoenix family law attorney from the beginning, you can be confident that you have all the facts and resources needed to make the right choices for your situation. Your Phoenix family law and Phoenix divorce lawyers can ensure your rights are protected and provide you with the smart and powerful advocacy you deserve. Regardless of what type of family law matter our experienced Maricopa County and Phoenix Divorce lawyers can assist. 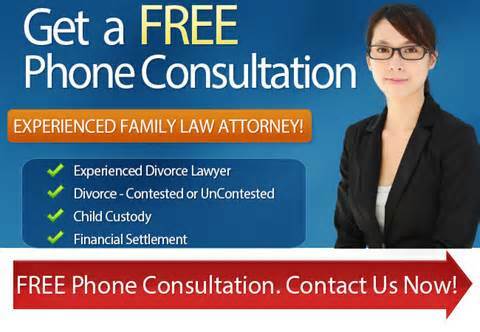 Do not hesitate to contact our Phoenix family law office today for a FREE Consultation. Dealing with Child Custody issues. Legal Separation from a spouse. The Phoenix Family Law firm of My AZ Lawyers practices all aspects of family law. Including but not limited to: divorce, child support, annulment, child custody, and parental rights. While some boutique firms may offer you a few elements of family law support, our Phoenix Family Law Firm full service. Experienced family law lawyer Candace E. Kallen understands that if you are going through a divorce, facing a custody dispute, or dealing with other sensitive family law issues, you may be facing the most emotionally challenging experience of your life. Our experienced lawyers and staff are here to assist you with your divorce or other family law issue. Our family law attorneys are committed to providing clients with individualized and personal attention. Thus, we understand that each case is unique. We take the time to learn the specific details of each case to better serve the needs of our family law clients. No matter what type of family law case, we can help. Our Phoenix divorce and family law attorneys will guide you through the legal process to help you resolve your family law conflict. Speak with one of our Phoenix family attorneys right away. It’s important so we can begin working toward a solution for your legal matter. Please remember, if you’re having trouble dealing with your case, putting off your legal matter will only harm your potential outcomes. To better aid those residents of Phoenix, Scottsdale, Avondale, and surrounding communities who are struggling in a tough economic time, our Maricopa County Family Law Attorneys are proud to present various financing options available to those in need which we encourage you to ask about during your initial meeting with an attorney. To schedule your free legal consultation (either in office or by phone) with a Phoenix, family law lawyer, call our attorneys right now. (480) 833-8000. We’re waiting to assist you. Contact Our Phoenix Family Law Attorneys NOW! Need a Restraining Order or Document Preparation? Our Phoenix divorce lawyers are committed to providing the people of Phoenix and Maricopa County with caring and effective representation. Therefore, our Phoenix Family Law Firm we would be proud to serve your family in any legal issue you are facing. We are experienced in all areas of family law, and can assist you in such matters as preparing documents for your family law petition or assisting you with a restraining order petition. When we start assisting you with your family law matter makes no difference; if you are just considering taking legal action or if you are already in the midst of Arizona family court proceedings, our experienced Maricopa County and Phoenix divorce lawyers can help you with your case. Rest assured knowing that you will receive nothing less than dedicated and exceptional counsel to help you pursue the best resolution for your family law situation. When you’re looking for the best Phoenix family law attorney, it’s critical to end your search with a lawyer from My AZ Lawyers. 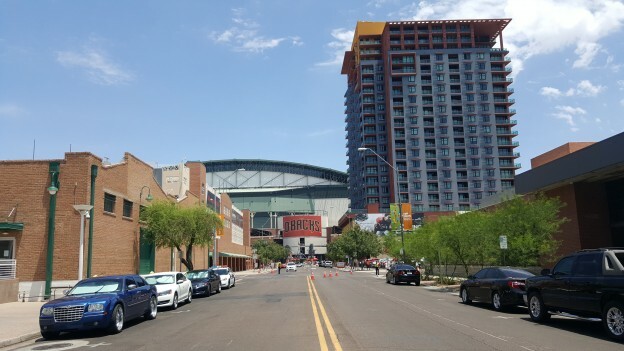 At our Phoenix based law firm, we aren’t only able to assist only those residing in Phoenix. Our lawyers extend our services to those in all of the East Valley and West Valley surrounding Phoenix as well as the cities. We service: Scottsdale, Glendale, Avondale, Gilbert, Chandler, Sun City, Mesa, Tempe, and surrounding communities in Maricopa County. Currently, our Phoenix Family Law Lawyers are able to provide legal assistance pertaining to Phoenix family law to all cities in the metro Phoenix area and other communities in Maricopa County, Arizona. Our clients come from all types of backgrounds. Our Phoenix divorce lawyers have found that each family has its own unique needs. We practice in a wide range of family law areas. For example, divorce, alimony issues, child support issues, child custody issues, and adoptions. Our Phoenix family law firm offers free, no-obligation initial consultations. Therefore, whatever your legal problem may be, we want to offer you the benefit of our Arizona family law experience. Do not hesitate to give us a call. You can call my office to set up a free consultation at (480) 263-1699. Also you can use the contact form to the right side of this page to send your information to our Phoenix family law office. Someone from our office will then contact you to set up an appointment. We look forward to assisting you. The Phoenix family law lawyers of My AZ Lawyers with locations in: Phoenix, Mesa, Glendale, Scottsdale, Avondale, and Tempe. In addition, we serve clients in Phoenix, Tempe, Glendale, Mesa, Chandler, and Sun City. Furthermore, we service: Gilbert, Peoria, Surprise, Apache Junction, Scottsdale, Paradise Valley, North Phoenix, Queen Creek, and Apache Junction. Also included are: Casa Grande, Anthem, Sierra Vista, Prescott, North Scottsdale, and Tucson. Additionally, we also encompass Sedona, Flagstaff and other communities in Maricopa County. In addition, we also do: Pinal County, Pima County, and throughout Arizona. If your family situation is less than perfect, do not hesitate to contact our Phoenix Divorce Lawyers today. Hence, we will be awaiting your call. Is there an advantage to filing divorce first?